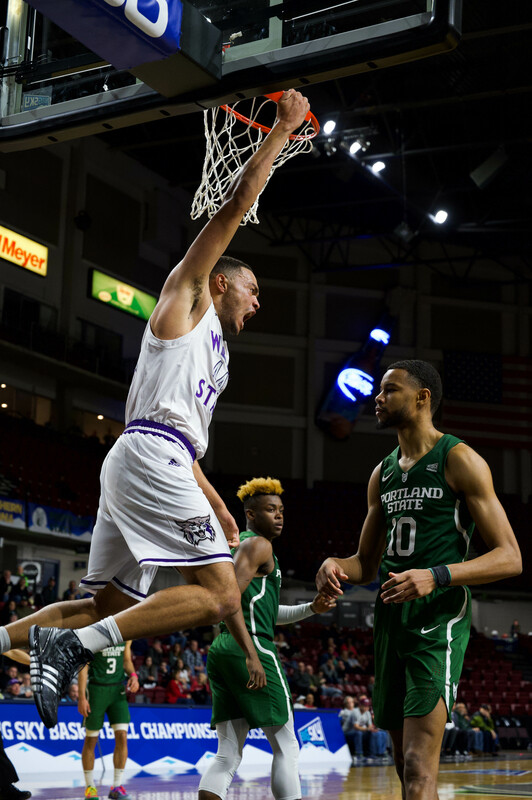 The Weber State University Wildcats knocked off Northern Arizona University on Thursday night with a 67-49 win. 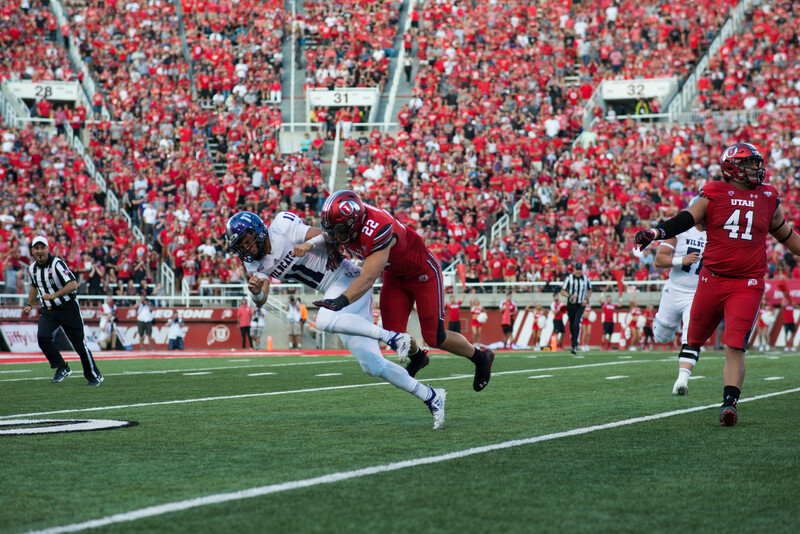 Head Coach Randy Rahe said NAU tested the Wildcats and made them work for the win. The Lumberjacks struck first, going up 4-0, with two inside layups on their first two possessions of the game. Kyle Bullinger answered back with a three to cut the NAU lead to one. Scott Bamforth took the lead for WSU for the first time in the game when he hit a three six minutes in, making it 8-6. Two minutes later, Byron Fulton hit a three to extend the Wildcats’ lead. Fulton helped WSU build their lead a few minutes later when he pulled down a rebound and scored his fifth point of the game. WSU went on a 7-0 run and built a seven-point lead with 12 minutes left in the half. But the Lumberjacks stayed close, thanks to Gabe Rogers, who hit an inside jumper to pull NAU within three points. As NAU cut the Wildcat lead, WSU switched to a zone defense in hopes of slowing the Lumberjacks. The switch forced NAU into taking some bad shots and turning the ball over. After having a quiet start to the game, Damian Lillard made his presence known with four minutes left in the half, scoring back-to-back buckets for WSU, seven points in five minutes. The second of Lillard’s back-to-back points came off of a turnover, when he raced down the court and laid the ball in, drawing a foul. NAU once again fought back and, with 30 seconds left in the half, cut the lead to seven points, with a 6-0 run and cut the lead to 30-23 at the half. The Lumberjacks cut the lead to five in the first minute of the second half, but Bullinger pushed the lead back to eight with a 3-pointer, then a quick two. Bullinger scored WSU’s first 10 points of the half. Rahe said Bullinger really sparked the team in the second half. With three minutes left, the Wildcats had extended their lead to 63-47. In the end, WSU took a 67-49 win. Lillard led the team with 18 points. Bullinger finished the game with 16 points.